Lycamobile, the world’s largest international mobile virtual network operator (MVNO), has launched its service in Macedonia, the 21st country in its international network. Macedonians can now benefit from Lycamobile’s low-cost rates for international and domestic calls as well as data services. Lycamobile’s proposition will particularly appeal to Macedonians looking to call or visit friends and family abroad, as there are large communities of Macedonians worldwide and Lycamobile is able to offer them an impressive no roaming charges in 18 countries worldwide. This reflects its companywide vision which is to give all its customers the opportunity to connect with friends and family around the world at the most competitive price. Macedonia’s goal for EU candidacy since 2005 has allowed for close economic ties with the Union, resulting in increased development to the telecom sector as it prepares for the competitive environment encouraged in the EU. Subsequently, the telecom market accounts for 7% of the country’s GDP*, which is well above the EU average, making it a strategic decision for Lycamobile to take advantage of such a growing market. 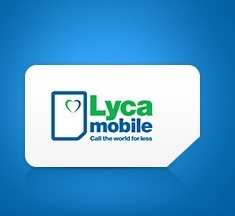 Founded with a mission to connect friends and family around the world, Lycamobile has grown quickly to serve 15 million customers around the world, including in Europe, the USA, Australia, Hong Kong and Tunisia.